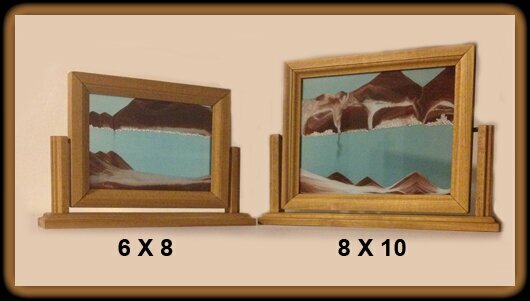 You can order Sandscapes by mail, phone or fax! If ordering by mail: Include check for full amount made payable to Elka Lang, and indicate the size, wood finish and sand color of your SandScape. If ordering by phone/fax: Please have your credit card number ready and indicate the size, preference and sand color of your SandScape. Normal processing time: Orders shipped next business day via USPS Priority.